I encountered this term while studying the Buddhist’s teachings. I feel it is an important concept to understand. What does taking refuge mean? In the Buddhist tradition it means to commit oneself sincerely to one’s teacher, his teachings (and practices) and the community of fellow seekers. They tell us the benefits of doing so are great. The Buddhist teachings say take refuge in the three Gems; the Buddha, the Dharma and the Sanga. The Buddha is the transmitting channel of Truth, love and wisdom; the teacher or guru. The Dharma is the teachings and practices given us by our guru and the Sanga is the community of fellow seekers. We take refuge by committing ourselves, from the depths of our being, to sincerely follow our teacher or guru, to follow his guidance, to study the teachings, to perform the spiritual practices he gives us and to participate in the spiritual community linked to the same teacher and teachings. Taking refuge is a choice and a full hearted commitment that we make freely and continue to make until it is no longer necessary. 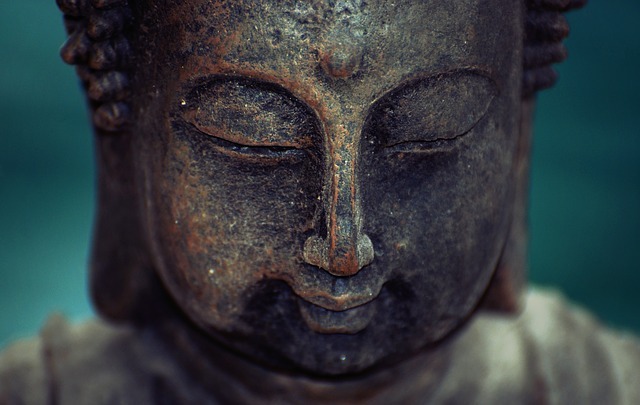 The Buddhists say that by taking refuge we become the Refuge, we become the Buddha. I delight in this term, “taking refuge”. This perfectly matches my experience. For me taking refuge is when we choose to surrender, like a child, with faith and trust, to the one in our heart we feel can take us to the goal. When we “take refuge” we enter into the loving force field that “holds and protects” us on our journey. This surrender is strengthened over time as we follow our guru’s guidance, obey his directions, study his teachings and open up, participate and draw support from our community of fellow seekers. This is how we go beyond our old self and develop our divinity. However many spiritual seekers miss the opportunity of taking refuge. They would rather remain seekers than become seers. There is this inclination to hang on to what is familiar and comfortable rather than risk taking the leap and committing to someone or something unknown. For most of us commitment is avoided, as are most of the other actions that would reduce the hold of the ego such as sacrifice, service, surrender and devotion. Too often we back off rationalizing and justifying why we didn’t. We let our fear of being duped or sucked into some something or taken advantage of to be the reason to avoid taking the leap, making the commitment. This is our conditioned self, the ego, our separate sense of self, and it becomes very threatened when our unconditioned self, the psychic being, comes forward. The ego doesn’t want (or know how) to let go. This is expressed as the fear of loosing something we are consciously or unconsciously hanging on to or something we still want or crave. Or there is pride, the need to be independent to do it ourselves unbeholden to anyone. We love our independence, to stand on our own, to do it ourselves. The very qualities that have served us well in our human lives become obstacles to our spiritual development. This was my own experience before committing to move to India the first time. It was only after I made the move did I know I had made the right choice. I felt a great peace and feeling that I was on track. I was so happy. I had taken refuge. This is possibility the most powerful choice I ever made in my life. I leaped off the cliff of my old self and life and entered a new state of being which has taken me to where I am today. This is why I’m writing this; to help you break out of the conditioning that prevents you from taking advantage of the opportunity of taking refuge when it occurs. Taking refuge is a conscious act; it arises from our unconditioned self, our pure psychic being. The important word here is “conscious”. Only when we consciously choose from that level to take refuge does the ego rise up and reveal itself. And only when the ego rises up can we end its hold on us. This is the power of commitment. When our ego; our conditioning, our preferences and repulsions rise up it is very hard not believe they are real and not act on them. We have all spent our lifetime believing them, following their promptings. So it is a real battle. Yet it is in the intensity of the struggle, that we transform ourselves. It is our commitment, perseverance and surrender that take us beyond our old self into a new state of being. And it is taking refuge that gives us the strength to so. It is a tremendous grace to find a living teacher who we recognize and who recognizes us. Of course there is benefit in following a teacher and teachings of one who is no longer in the body. But it is not the same as having a living teacher. A living teacher can talk back; can call us on our stuff. He can say those things we don’t want to hear. But also it is the living teacher whose love carries us, whose strength augments ours and who can give us faith when we loose hope or doubt ourselves. A living teacher is a great threat to the ego. The ego is tricky. It loves to hide, to veil our being with forgetfulness and subterfuges. The ego cannot hide or perform its subterfuges because the living teacher will see what is going on and either point them out or intervene on our behalf. Taking refuge is the secret of steady spiritual progress. It gives us the grace, wisdom and strength to stay on the path, to remain in the boat that will cross the ocean of samsara. Taking refuge in the guru’s love, his force and grace, his wisdom and guidance, his teachings and instructions and keeping the company of fellow seekers engaged in the same struggle, is what “holds” us on this journey. When we take refuge in the teacher his love, wisdom and force protects us and carries us on our path even when we are not aware of it. Taking refuge protects us by sheltering us from negative influences and forces in the physical and subtle dimensions of existence. This protection strengthens the positive qualities in us drawing us toward positive influences, causing us to reject negative ones. Taking refuge also assures that if we do not complete the journey in this life then in the next life we are born with positive qualities, in favorable conditions and a natural propensity for the spiritual path. v. 273: One who falls from the path of this yoga shall not be destroyed either in this life or hereafter because one who pursues the path of yoga never comes to grief. v. 274: A fallen yogi goes to the world of the righteous and dwelling there for long years again takes birth in the family of the pure and prosperous. v. 275: Or he may be born again in the family of seers, full of wisdom and spirituality. Such a rebirth is rare in this world. v. 276: There he gets back the spiritual attainment of the previous birth and strives more intensely for perfection. v. 277: Such a fallen yogi will be driven to the path of yoga by the force of circumstances due to his previous practice and goes above the range of scriptures quickly. v. 278: That yogi pursues the path of yoga with diligence and sincerity and is purified from all karmas accumulated in the course of several births, finally culminating in the highest state of bliss. This is a great comfort for one on the spiritual path. Often the greatest fear of a true seeker is the fear of not making the goal this life time. The spiritual path is a multi life time endeavor. But once we have learned our lesson at the level of consciousness it is never lost to us. This is the truth behind this these verses. In the Gita Mahatmyam it says “One who wants to cross the ocean of Samsara (suffering) without difficulty should take refuge in the boat of Gita.” Our role is to simply hang on and stay in the boat. Taking refuge is the way to manifest the divine possibility that exists in all of us. It is my sincere wish that this message will guide and give you the strength to take refuge when the opportunity comes. May this message assist you all on your journey.